Roy, finally detained by police. TUARAN: The wanted suspect who attacked and caused injury to an Australian man at Kampung Kiwoi in Tamparuli on Jan 24, has finally been detained. 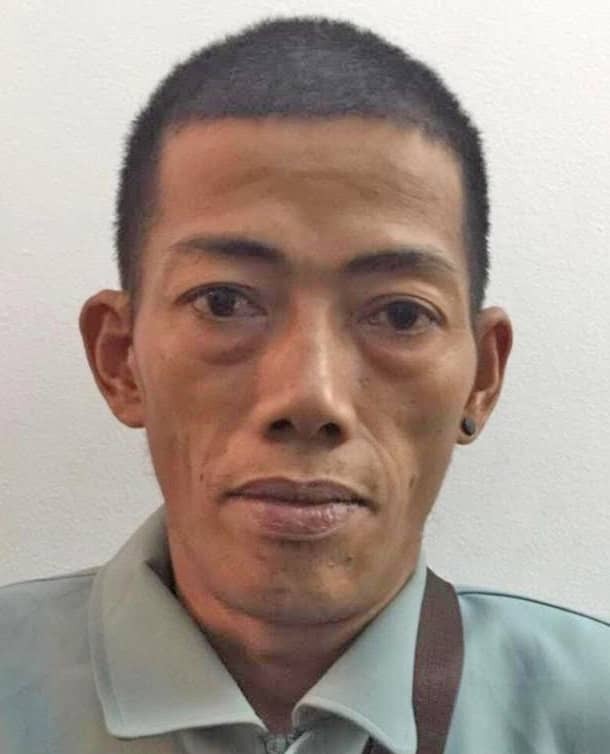 Tuaran police chief DSP Dzulbaharin Ismail said the suspect, a Filipino man identified as Roy Samad Totong, 36, was arrested by police at Kampung Saga Likas around 1pm yesterday (Feb 14). “Police from Inanam who were on a patrol operation spotted a suspicious man hiding in some bushes at Kampung Saga. “As police approached the man, the latter immediately fled the scene, prompting police to chase after him. “There were some struggle between police and the suspect as the latter tried to escaped but was apprehended at the scene. “The suspect was taken to the Inanam police station before being handed to the Tuaran police for investigation. “During interrogation, the suspect admitted to have attacked victim with a machete due to a misunderstanding between both men,” said Dzulbaharin. The suspect is currently being remanded to be investigated under Section 324 of the Penal Code for voluntarily causing hurt by dangerous weapon. On January 24, an Australian man, identify as Daniel Broadhurst a.k.a. Aussie Dan, was attacked with a machete by the suspect following an argument between both men at around 2.30pm. The 46-year-old victim, who is said to own a homestay with his local wife at Kampung Kiwoi in Tamparuli, was then rushed to the Queen Elizabeth Hospital for treatment, where he suffered head and arms injuries. Aussie Dan is reported to be in stable condition.